The common names for the Hardy annual or perennial Althaea include Hollyhock, Marsh Mallow Mallards, and Sweet weed. They typically flower from summer to early autumn. The mucilaginous roots of Althaea and the leaves have been used for many medicinal purposes in the past, especially for respiratory diseases and asthma. Photograph of Althaea officinalis by Phil Sellens. Althaea are large plants, with older plants capable of reaching up to 200 cm in height. Althaea has double flowers of most colors. The leaves are lobed. It is ideal for growing in cottage gardens and as part of a butterfly garden as it is a favored food of many moths. Althaea is a native plant of Europe and Western Asia, where it can be found on river banks and in salty marshland. 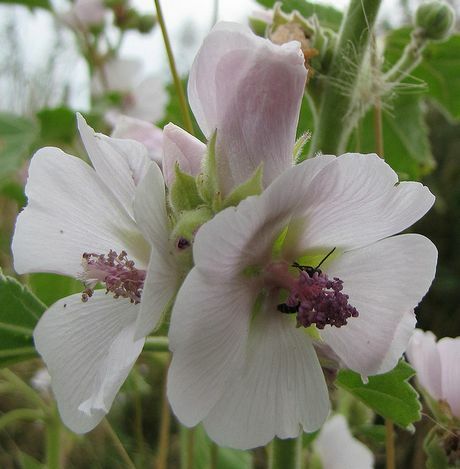 The plants presence on marsh lands led to its common name of marshmallow. The slimy root is sweet tasting and was used in the original recipe for the Marshmallow sweets. The plants have long stems that may reach up to seven feet (2 M) in height, and typically have a single flower, with double petals atop the inflorescence. Members of the Althaea genus are known to have many medicinal properties, in ancient times the roots were used to cure indigestion, reduce inflammation, asthma attacks, used against tooth and ear aches, and to help with diarrhea. The genus belongs to the Malvaceae family, better known as the mallow family. This is a large family consisting of around 427 species across 49 genera. Therefore closely related species to Althaea include Rosemallow (Hibiscus), Mallow (Malva), Anoda, Hollyhock (Alcea) and Urena. The plants are also referred to as Hollyhocks, and are closely related to the Alcea genus. Althaea plants tend to be shorter than Alcae. Common Names: Marsh Mallow, Hollyhock, Mallards, Sweet Weed, Hairy Marshmallow, Rough Marshmallow. Life Cycle: Hardy annual. Hardy perennial. Height: 6 to 80 inches (15 to 200 cm). Flowers: End of spring to summer and/or autumn. Flower Details: Pink, white, yellow, mauve. Single or double flowers. Flowers on spikes. Sow Outside: Surface. Following the last frost. Spacing 10 to 40 inches (25 to 100 cm). Sow Inside: Mix seeds in a growing medium; keep soil moist, place in a freezer bag, then stratify by refrigeration for two weeks. Use peat pots. Germination time: one to two weeks. Temperature 60 to 65°F (16 to 18°C). Seven or eight weeks in advance. Transplant outdoors following the last frost or in autumn. Requirements: Full sunlight or partial shade. Good drainage. Soil pH 6 to 7.5. Moist soil. Sandy soils. Provide support. Water regularly. Deadhead. Indoors, Althaea requires between 10 and 15 days to germinate at a temperature of 15 to 20 degrees Celsius. It is necessary to stratify the seeds first to initiate germination. 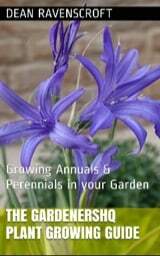 Plan to transplant annuals and perennials outdoors after the last frost of spring. When growing indoors prior to transplanting in the spring they should be grown in peat pots. Hollyhock, Marsh Mallow and other Althaea members are easy to take care of as long as they are well spaced, they requires regular watering in the summer and should be staked. A second bloom is possible if flowers are removed prior to setting seed. 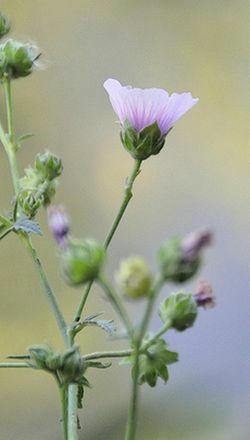 Photograph of Althaea cannabina by Chemazzgz. These plants are fairly hardy perennials and can grow in zones 3 through 9 in the USA, and throughout Europe. Plants will reach between 48 and 72 inches (120 to 180cm) I height, and therefore should be given plenty of space 18 to 24 inches (45 to 60cm) when sowing seeds out in the autumn. They can be grown in either full sunlight or in partially shaded conditions and bloom with pale pink or white flowers from the middle if summer and through the start of autumn. Ideally the soil will be of a pH ranging from 6 to 7.5. These plants are native to Western Asia and the Mediterranean regions of Europe and Northern Africa. They range from six to fifteen inches in height (15 to 40 cm) and usually has a single (or a couple) stem that is branched. The leaves vary in shape depending upon their location on the stem with them having a longer petiole towards the bottom of the stem. 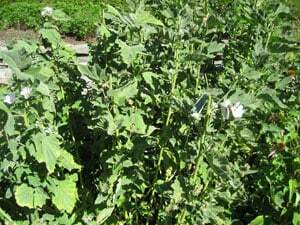 Grow in the same conditions as described above (How to grow Althaea).